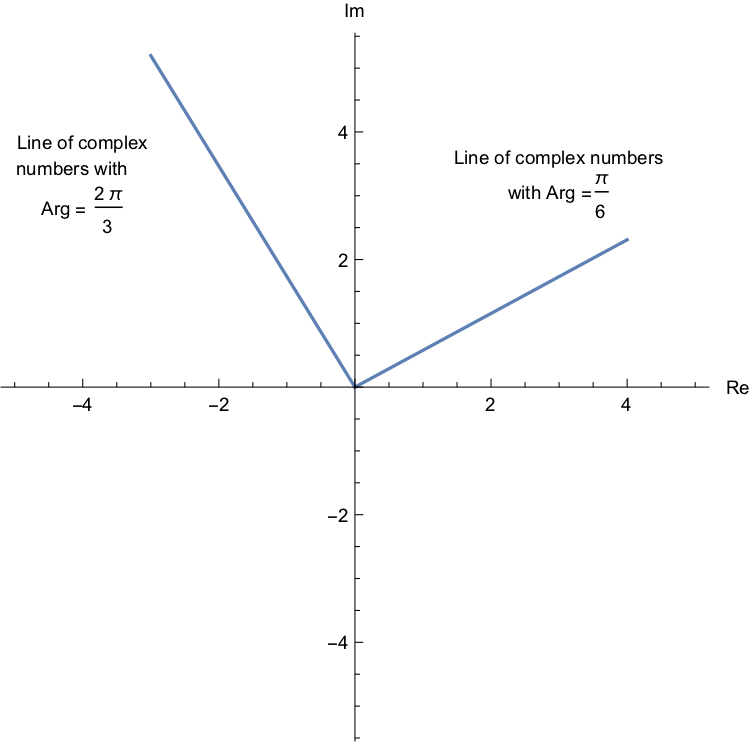 Now, the constraints are about the arguments of the two complex numbers. 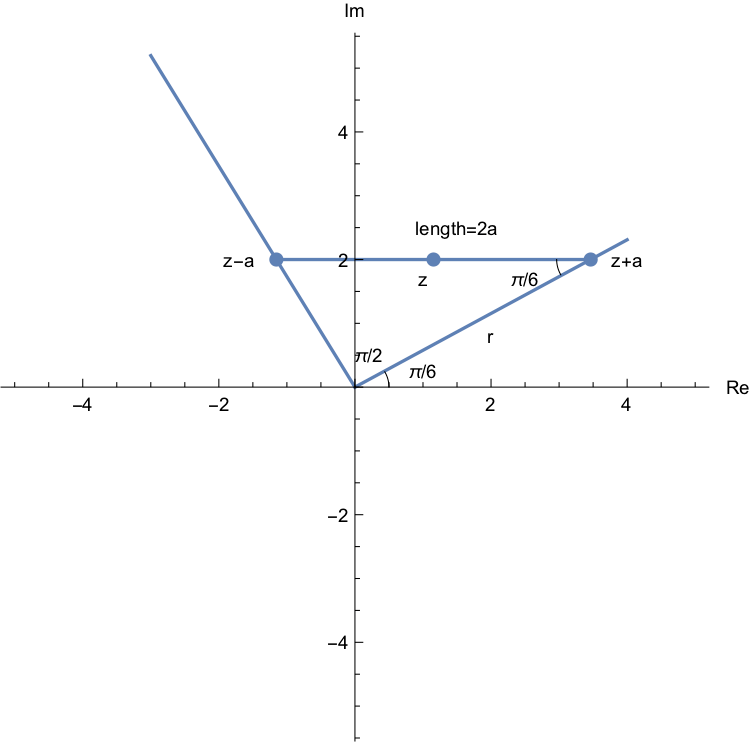 It doesn’t tell us anything about the magnitude of the numbers, so all the information tells us is the direction are in relation to the origin. 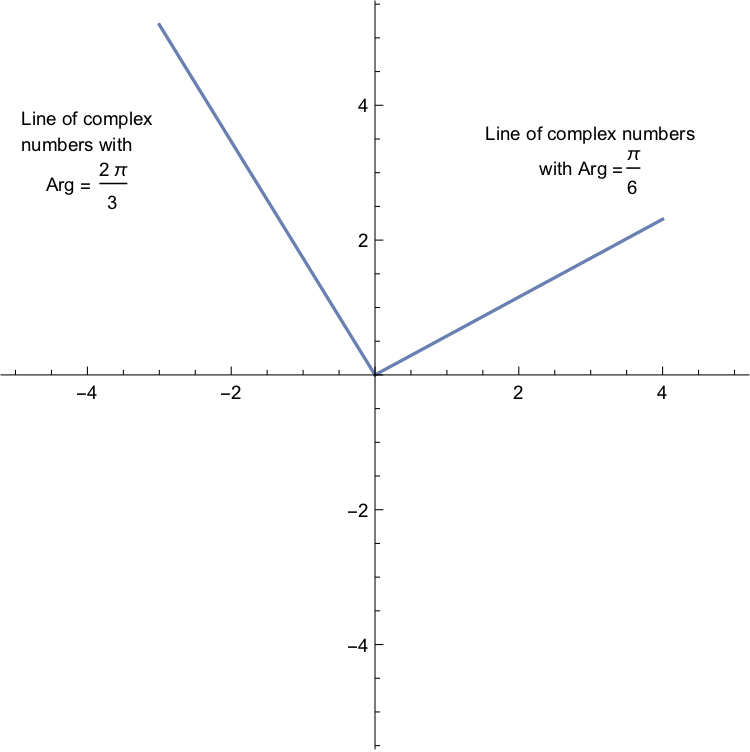 Let’s plot the lines of complex numbers which satisfy the two argument conditions. ok, so we know that lies on the right hand line, and lies on the left hand line, and we know that they have the same imaginary parts. 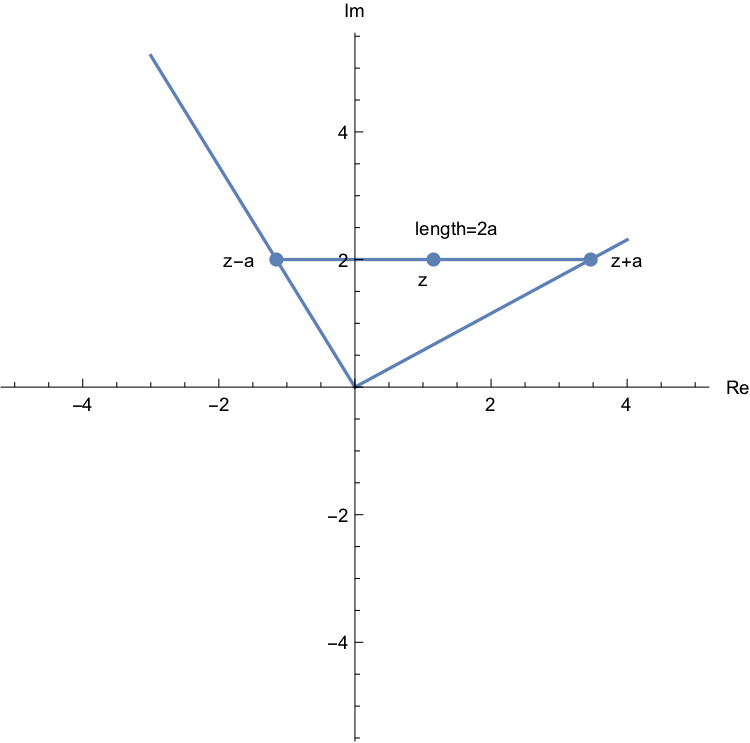 Let’s draw in the line which goes between the two and clearly has length 2a. We will just put it in at some random position, so don’t take the height here to mean anything, the value of a would of course determine the height.